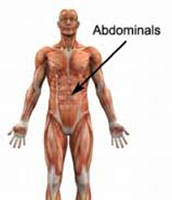 Bottoms Up: Start by lying on your back, legs straight and arms by your sides. 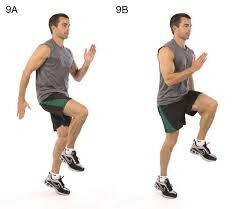 tuck your knees towards your chest, the lift your legs above you. hold it for a couple seconds, then do it again. 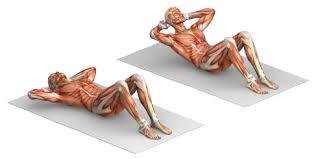 3/4 Sit-Up: Lie down on the floor with your legs bent at the knee. Put your hands on your headaise your upper body towards your knees. Go back down but not all the way. Repeat. Jackknife Sit-Up: Lie flat on your back, legs straight and arms above your head. 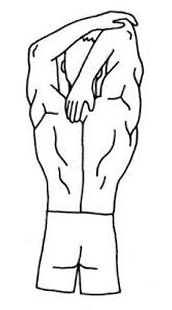 bend at the waist and bring your arms and legs together. 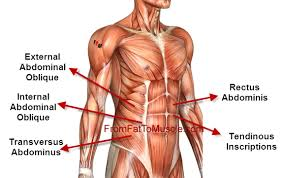 Upper body should be off the floor. 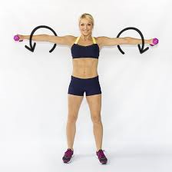 lower your arms and legs. Repeat. 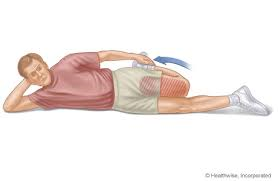 Quadriceps: Lie on your right side, pull your left heel into left bum cheek, feeling the stretch in the front of the thigh. 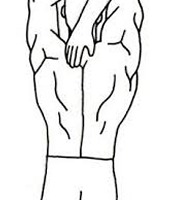 Repeat with the right leg. 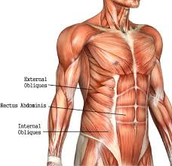 Hamstrings: Lie on your back, lift and straighten one leg directly above you. 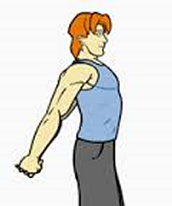 Hold your leg, press heel toward ceiling as you pull leg back toward chest. Switch legs. Gluteus: Lie on your back, cross right leg over bent left knee. 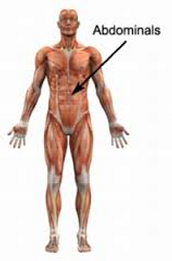 Then bring left knee to chest, holding onto the back of your thigh, gently pressing right knee wide. Switch legs. 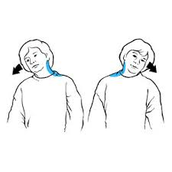 Chest: Stand straight, intertwine fingers behind your back as you straighten out your arms and lift chin to ceiling.